“My name is Husky Harris, and I’m from Brooksville, Florida. I remember being a little kid. Teacher would ask everyone: “What do you guys want to be when you grow up? When they called on me, I’d say: “I am going to be in the WWE.” They chuckle and laugh. Who’s laughing now, you know what I’m saying? “I’m a third-generation Superstar. Blackjack Mulligan is my grandfather, and my father [is] Mike Rotunda, the IRS man … I’ve been waiting for this for a long time. “As soon as I was old enough, I immediately put a helmet on my had and [played] any contact sport I could get my hands on. I love to wrestle. I love to play football. I went to Troy University in Alabama … Playing [NCAA] Division 1 football ain’t no joke, buddy. Anything to get me ready, because I knew one day I’d be here. 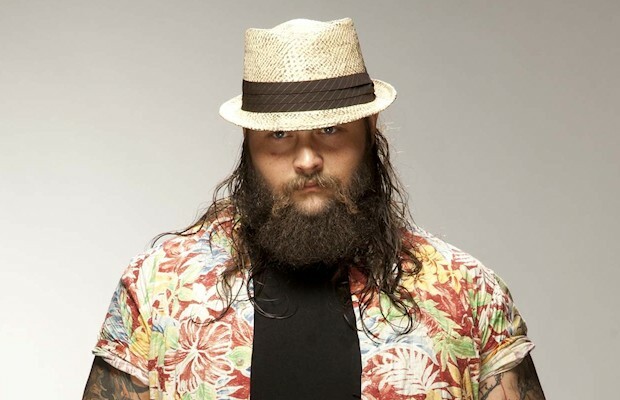 Bray Wyatt’s real name is Windham Lawrence Rotunda and he was born on May 23, 1987 in Brooksville, Florida. He is a third-generation grappler; son of Mike Rotunda (professionally known as Captain Mike Rotunda, Michael Wallstreet, Mike Drond Mike Rotundo, Mr. Wallstreet, V.K. Wallstreet and famously, Irwin R. Schyster). grandson of Blackjack Mulligan, and nephew to Barry Windham and Kendall Windham. His younger brother is fellow WWE Superstar Bo Dallas, and he has a younger sister named Mika. An athlete growing up, Rotunda attended Hernando High School in Brooksville, Florida, where he won a state wrestling championship in 2005 and played football as a defensive tackle and guard. After graduating from high school in 2005, Rotunda played football for two seasons at the College of the Sequoias, a community college located in California’s San Joaquin Valley, earning second-team All-American honors as a sophomore offensive guard. With his performance, he earned a football scholarship to Troy University in Troy, Alabama, where he played collegiate football for two years. He left the university twenty-seven hours short of his bachelor’s degree to become a professional wrestler for WWE. Rotunda is a family man; he has a beautiful wife and they are the proud parents of two daughters. As Husky Harris, Windham Rotunda was one of eight WWE development wrestlers entered into season two of NXT, WWE’s answer to America’s Next Top Model. 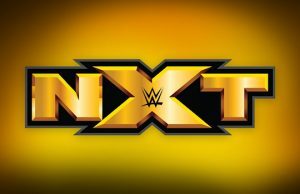 Receiving its United States premiere on June 8, 2010, NXT season two also introduced members of the WWE Universe to Alex Riley, Eli Cottonwood, Lucky Cannon, Michael McGillicutty (now Curtis Axel), Percy Watson, Titus O’Neil and eventual winner Kaval. In his introductory video, transcribed above, Harris claimed that he had “advantages over every single one” of his opponents in the competition. At the time of the broadcast, many wrestling pundits disagreed. It appeared he had just one thing in his favor: family connections. And he wasn’t the only person on NXT season two who had wrestling in his blood. The future Curtis Axel, Michael McGillicutty was a third-generation grappler as well. Despite the confidence he exuded in his video, Harris seemed the man least likely to make it in WWE. He was solid in the ring – his speed bellied his size, as he stated – and he could talk, but his fleshy body was an enormous hindrance in the image-conscious WWE as were his raff-looking tattoos and cartoonish facial features. Based on what we saw from him on NXT, Harris was another case of nepotism. It is impossible to conceive that he would have been signed by WWE, had he not related to road agent Mike Rotunda and WWE Hall of Famer Blackjack Mulligan. Prior to his arrival on NXT, Harris had teamed with his brother Bo Rotundo (now Bo Dallas) in then-developmental league Florida Championship Wrestling. Billed as Duke Rotundo, Harris held the FCW Florida Tag Team Championship from July 23, 2009 to November 19, 2009. Duke continued to team with brother Bo and competed in singles matches in Florida Championship Wrestling until May 2010. Some appreciated his tandem with tandem with Bo, some didn’t. It had no bearing on WWE’s decision to include Duke, as Husky Harris, on the second season of NXT. The combo could always be reformed in developmental or promoted to WWE’s main roster. In the event Harris was deemed main roster-ready at the end of his NXT exploits. Had Harris made it as Harris in WWE, it’s possible that Bo would have been promoted to the main roster as his partner in 2011 or 2012. But Harris didn’t cut it in WWE. Turning heel on NXT, he was eliminated on the August 17, 2010 episode, following which he and his pro Cody Rhodes attacked Kaval. Harris made an appearance on the NXT finale on August 31, 2010 in order to participate in another brawl, then returned to Florida Championship Wrestling. Just over a month later on October 3, 2010, Harris was given another chance by WWE when he was one of several who ran in on Wade Barrett’s match with John Cena. Harris was added to the ailing Nexus faction later that month. Harris did nothing which mattered as a member of Nexus, which was repeatedly humiliated by John Cena. CM Punk replaced Barrett as captain of the Nexus on the December 27, 2010 edition of Raw (Barrett would form a useless group known as The Corre on SmackDown). Harris, Michael McGillicutty, David Otunga and later Mason Ryan were led by Punk on Raw in the next chapter of the tiresome conflict with Cena. For Harris, his Nexus journey ended on January 31, 2011 when he was struck by Randy Orton’s dreaded Punt on Raw. You could say he was booted off the main WWE roster. While at the time it must have seemed like a setback for Windham Rotunda – and certainly resulted in a significant cut in earnings – it was the best thing that could have happened. He was not going to soar like an eagle in WWE as Husky Harris. Name, physical appearance, character, greasy hair style: everything about him screamed, “Filler!” His demotion was a gigantic favor. Permanently reassigned to Florida Championship Wrestling, Husky was missed by few members of the WWE Universe. Those who did remember him four weeks after the axe had fallen probably assumed they would never see him on WWE television again. Apparently recognizing that Husky Harris was synonymous with mediocrity, WWE changed Windham Rotunda’s ring name to Axl Mulligan in March 2011. However, this, upon further consideration, was thought to be even suitable, and Windham reverted to the Husky Harris moniker before the end of the month to team again with brother Bo. Together, the siblings would raise the FCW Florida Tag Team Championship for a second time in February 2012. Despite his developmental tag team title win and good reviews for his matches and weight loss, Windham was no neared to booking his return trip to the main roster than he had been one year earlier. Something earth-shattering needed to happen. It did in April 2012 when Windham was reborn as sinister heel Bray Wyatt. Wyatt said that he learned how to read during his spell under lock and key, and that he had studied the “good book, mostly.” The religion angle. That always enhances a baleful character’s mystique. As he paid his debt to society, Wyatt claimed that he had learned how society functioned. He acknowledged that people looked down on him. It was this scorn which had driven him to become the man he was. “I ain’t no white trash,” Wyatt said. “I am better than you all.” He sang out the promo with the words, “Time is on my side,” as he spread out his arms, as if to simulate the crucifixion. Bray Wyatt was influenced by Robert De Niro’s portrayal as Max Cady in the 1992 film Cape Fear, that was clear. But Rotunda added his own stamp to it. No shillyshallying: Rotunda was that character. His haunting promos, which would become his trademark, were completely believable. He was banking on Bray to lead him back to the promised land of WWE. Wyatt beat old NXT rival Alex Riley in dark matches at Raw tapings in May and June 2012. 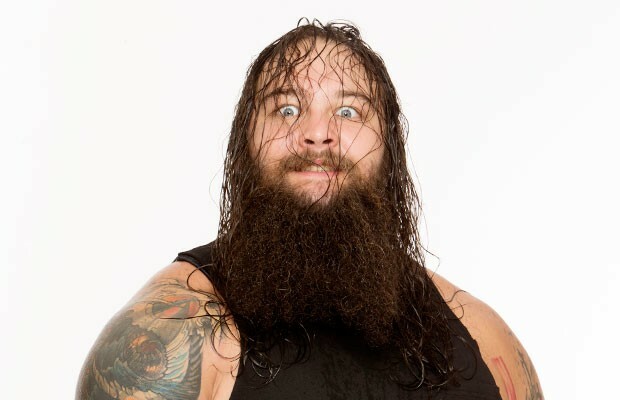 It is not known if WWE had planned to introduce Wyatt that summer or if it had simply booked him at these tapings to monitor the progress of the new character. Had his main roster debut as Wyatt been imminent, it was scrapped in late June when Bray suffered a torn pectoral muscle. He was sidelined for seven months. In the meantime, Windham Rotunda had new tattoos which were consistent with his character (that’s dedication for you) and formed The Wyatt Family with the hulking duo of Erick Rowan and Luke Harper, who were akin to characters from a PG version of The Texas Chainsaw Massacre. On January 31, 2013, Bray returned to combat at a WWE NXT television taping in Winter Park, Florida, where he defeated Yoshi Tatsu. Whether it was inspired by the early success of The Shield or not, WWE had decided that this three-man unit would soon debut on television, with a hefty push. On May 27, 2012, the first Wyatt Family video aired on Raw. In footage broadcast, Bray laughed in a rocking chair in a barn and a swing chair in a forest. Images of rural locations melded into extreme close-ups of all three wide-eyed, and Rowan in a sheep mask. It was like a PG version of the True Blood intro. On July 8, 2012, Bray and the boys arrived on Raw. “We’re here,” said Bray before he blew out a gas lamp and all three walked to the ring in darkness. Rowan and Harper attacked Kane as Wyatt sat in a rocking chair in the aisle. After the two behemoths had incapacitated Kane with the ring steps, Wyatt sauntered around the ring and knelt before Kane, with his arms outstretched. In the meantime, a loud chant of “Husky Harris!” broke out from the comedians in the crowd, which spoiled the moment. The Wyatt Family had a rocky 2013 in WWE. Bray’s Ring of Fire Match win over Kane at SummerSlam on August 18, 2013 was terrible. The awkward Rowan and Harper entered dodgy performances on television and pay-per-view. It wasn’t until Bray’s match with Daniel Bryan at Royal Rumble on January 26, 2014 that the act truly sparked in a WWE ring. Wyatt’s clean win over Bryan at the Rumble was an inspirational result. 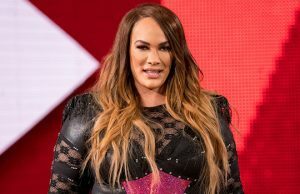 A man considered a newcomer pinned one of the sports-entertainment organization’s top stars with his finishing maneuver on the number two event of the year. It was irrefutable proof that Wyatt rated highly in WWE’s plans. The world learned what those plans were before the pay-per-view event ended when The Wyatt Family appeared at ringside during John Cena’s match with Randy Orton. The distraction caused by the Wyatts would be Cena’s excused for his loss to the WWE World Heavyweight Champion. As the Cena feud simmered on television, The Wyatt Family collided with The Shield at Elimination Chamber on February 23, 2014 in what was one of WWE’s hottest matches of the year. So riveting and well-received was the match-up, won by the Wyatts when Bray pinned Roman Reigns, that the two factions rumbled once more on Raw on March 3, 2014. They have done many times since then on television and house shows. The content of their television matches has never been anything less than gratifying. The same cannot be said about his feud with Cena. Ongoing at time of writing, Wyatt lost to Cena at WrestleMania 30 on April 6, 2014. Not only did Cena cleanly pin Wyatt, he brushed off the presence of Erick Rowan and Luke Harper at ringside and a lame storyline in which he had to tame the beast inside of him which Wyatt had encouraged Cena to release. That was no match for Cena, either. Cena had a Steel Cage Match which Wyatt won at Extreme Rules – overcoming interference from Rowan and Harper again – before a small child whom Wyatt had purportedly brainwashed appeared at ringside, causing Cena to stop dead in his tracks. Wyatt dropped Cena and walked out of the cage to victory. Wyatt’s program with Cena continued with a Last Man Standing Match at WWE Payback on June 1, 2014 at the Allstate Arena in Rosemont, Illinois. In the second event under the Payback chronology, the Cenation leader entombed Wyatt under multiple equipment cases to win the contest and end this intense rivalry. “The Eater of Worlds” bounced back from the loss with a victory over Dean Ambrose on the June 13, 2014 edition of SmackDown to qualify for the Money in the Bank Ladder Match for the vacant WWE World Heavyweight Championship. Wyatt lost the match to Cena, which took place on June 29, 2014 at Money in the Bank—Alberto Del Rio, Cesaro, Kane, Randy Orton, Roman Reigns and Sheamus also competed in the contest. The following night on Raw, a returning Chris Jericho was attacked by The Wyatt Family. The two faced off at WWE Battleground on July 20, 2014, where Jericho reigned and at SummerSlam on August 17, 2014, where Wyatt came out on top with Rowan and Harper barred from ringside. On the August 25, 2014 edition of Raw, Wyatt was completely dominated by Cena in a singles match. After The Wyatt Family, Henry and Big Show interrupted the match, the Superstars battled in a Six-Man Tag Team Match. Rowan and Harper caused the match to end in disqualification, leading to a six-man tag pitting the Wyatt Family against Cena, Show and Henry. After causing Harper to submit to the STF, Cena proceeded to send a message to Brock Lesnar with an Attitude Adjustment to each member of The Wyatt Family. On the season premiere of Raw on September 8, 2014, Wyatt reignited his heated rivalry with Jericho inside a Steel Cage. The back-and-forth match resulted in “The Man of 1,000 Truths” escaping the cage to defeat Y2J once and for all. One year on from the video introduction on Raw, The Wyatt Family had been another success story for WWE. Rowan and Harper should be applauded for their improvement as performers in 2014: steam-ironing out the creases, they have grown smoother in the ring, and play their part well. But they would be the first to admit, they are cast in background roles to the star of the show – Bray Wyatt. The spiritual leader and driving force behind the faction has become the star Husky Harris could never be. 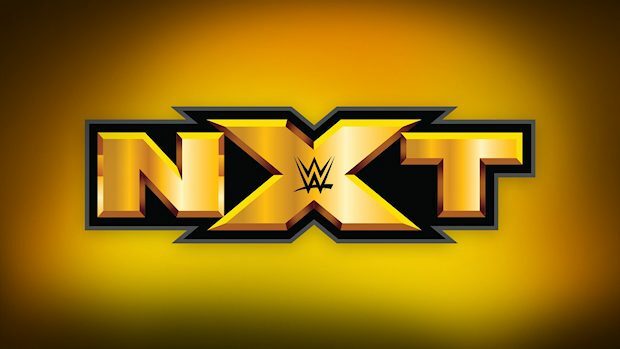 The man least likely to make it on NXT has evolved into a much bigger name than any of his season two rivals. As was true of Mark Calaway and Glen Jacobs before him, it was the gimmick of which separated him from the pack. 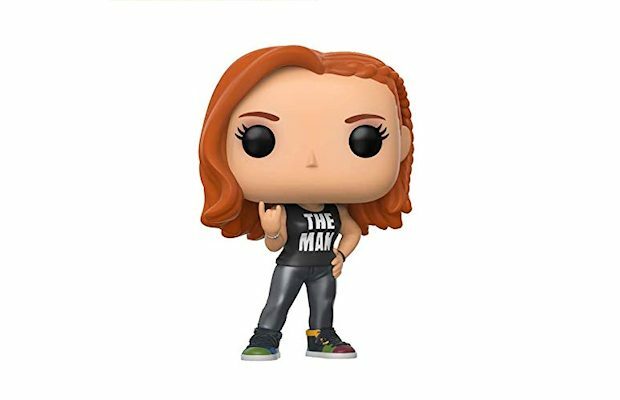 WWE and Rotunda have struck gold with this one.